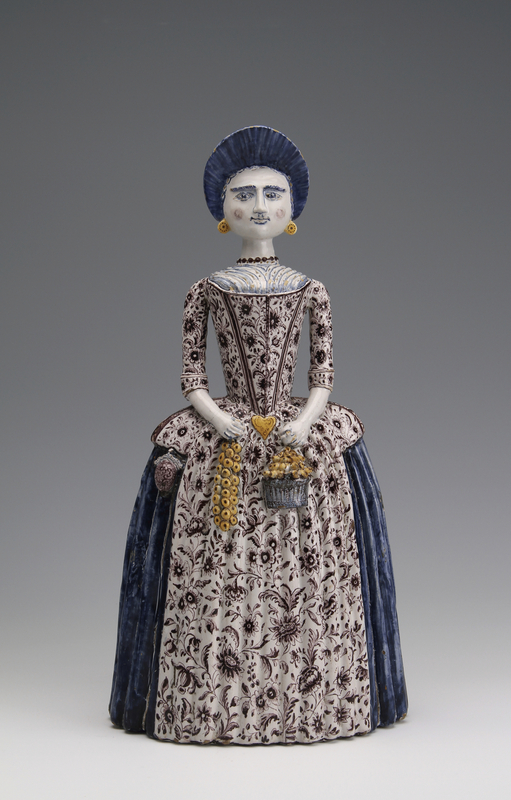 This rare tin-glazed figure of a Frisian lady in local costume was made in the town of Harlingen in the province of Friesland, The Netherlands. The figure was modelled and painted by Jan Eelkes Kroonenburg. 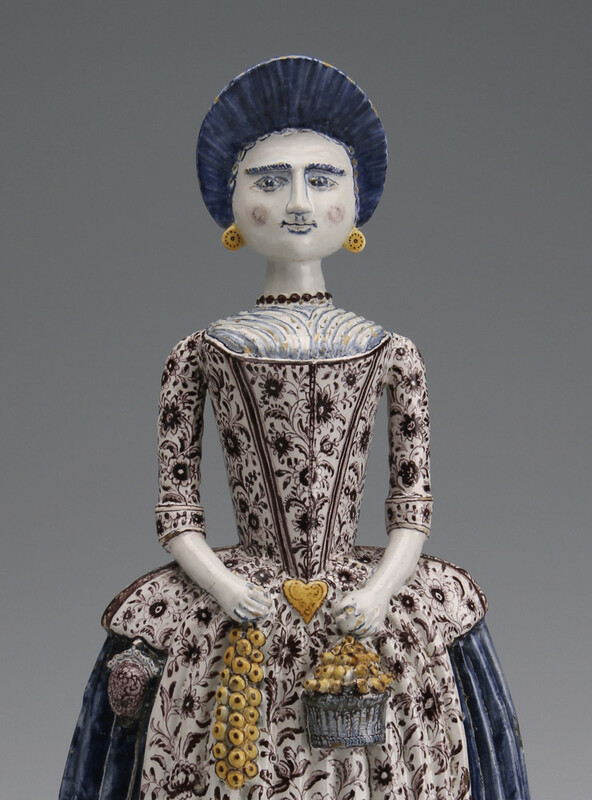 She holds a bunch of garlic in one hand and a basket in the other and wears a sunhat which was typical after 1780’s. She wears a chintz jacket, a full dark blue skirt and a chintz apron. 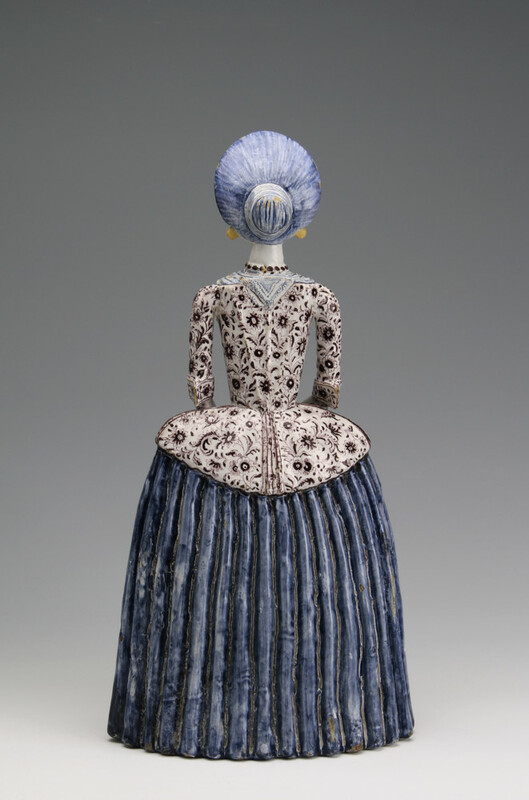 Chintz became fashionable in Friesland from the mid 18th Century and was still in fashion 30 years later. On her right hip she wears a red-purple purse with a silver handle. The heart on her stomach is a silver hook designed to hold up her apron. It is most unusual to find a figure of this size. The only other recorded example is in the Ashmolean Museum,Oxford. The figure can now been seen in the Hannema Huis in Harlingen.